So a while back I bought a Topre Type Heaven as my gateway to Topre. Down the line I eventually upgraded to a Realforce 104UW, that's when I realize the Topre PBT keycaps makes ALL THE DIFFERENCE. 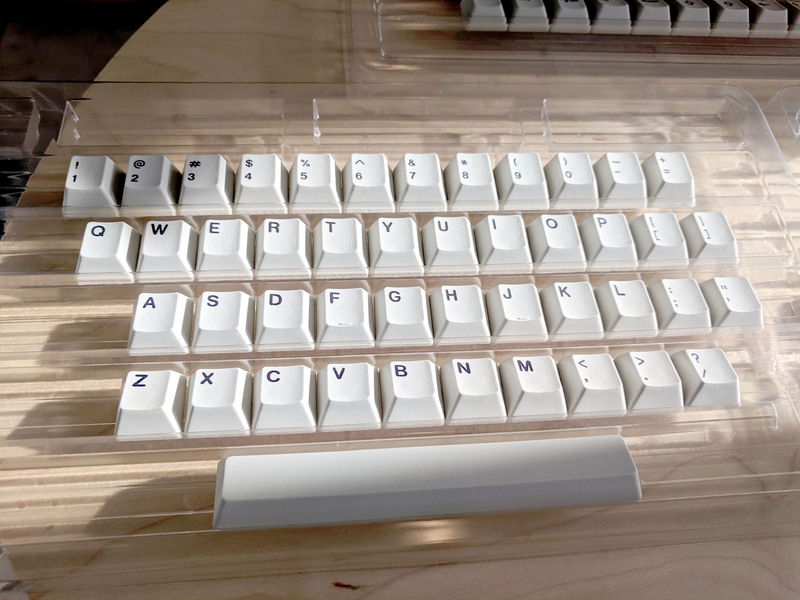 To be fair Type Heaven actually is quite nice and very solidly build, also in general I don't have any issue with ABS keycaps. 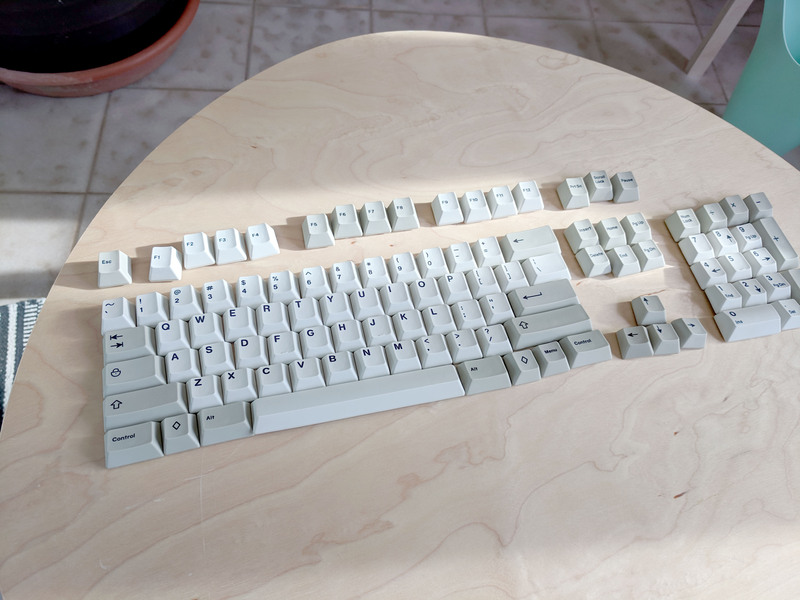 But compare to the Realforce then you do notice the PBT keycaps makes a huge difference and that's what give you the Topre "thock". Problem is, Topre has not been selling keycaps separately for a while now (probably not profitable), so now I'm on a mission to find Topre keycaps. 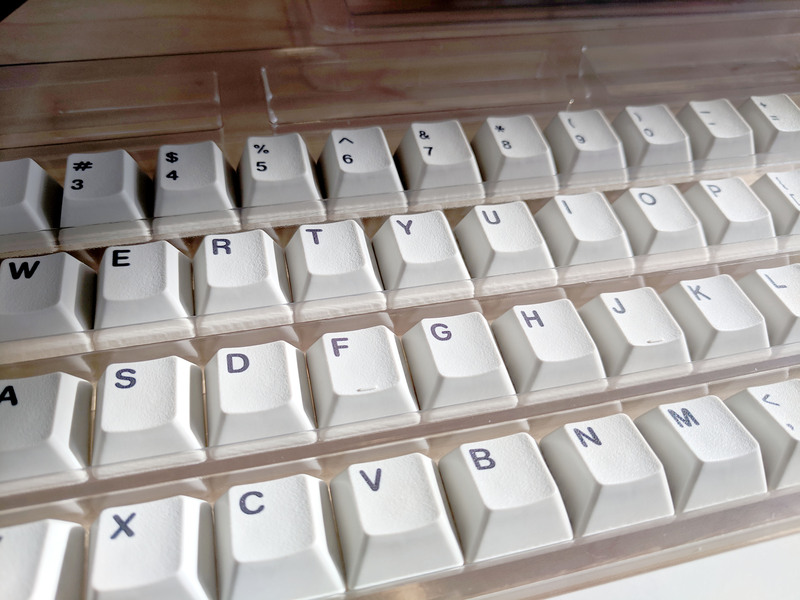 Luckily KBDFans released their own Topre keycap set, however there isn't much review regarding it so I've decided to take the plunge and now writing this review for anyone thinking to purchase it in the future. Here are some pretty photos, you can see the details are quite nice. So what's the verdict? Off the bat I noticed the texture is a lot more rough compare to Topre PBT. However I would say this is fairly normal/common for Cherry MX based PBT keycaps, though compare to stock Topre PBT it's white a bit rough. This however do wear down/smooth out with some use. The legends are a little bit thicker, but otherwise still nicely dye subbed, the quality of the dye sub is actually quite good. The base colour however is a little bit warmer (brown ish) compare to the stock Topre PBT, which is a little bit greyer in comparison. Overall I am quite satisfied with the build HOWEVER there is a relatively big con. I'm not 100% but it does feel like there's more wobble on it. On my Realforce there's almost zero wobble. My assumption is that the keycap doesn't fit securely onto the Topre slider so there's a tiny bit of give. Which result in a little bit more grain/noise while typing, which I find a bit surprising considering both my Topre are silenced. Also binds a tiny bit on off centre strikes which would never happen to Topre normally. Here is a picture of it on my Type Heaven. I must apologize that I took it the pictures on 2 separate days that's why the Type Heaven pic is a bit potato-ish. 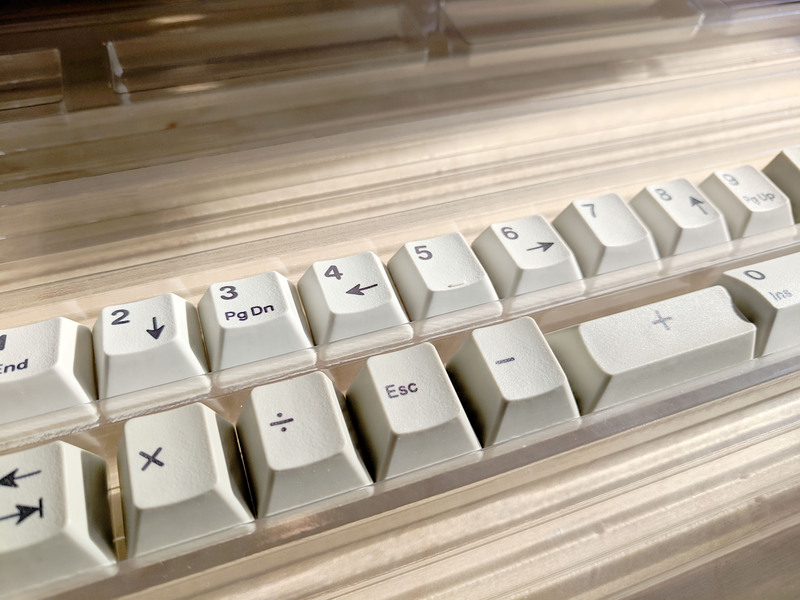 Something to keep in mind that at the current moment the number pad "7" doesn't have the "Home" printed under, it's a minor thing that still need to be fixed. So all in all I think this keycaps is not a bad choice overall however it's a bit let down by the wobble. Also doesn't help that the stock Topre keycap sets the bar too high, so in comparison there is a noticeable gap in terms of typing feel. 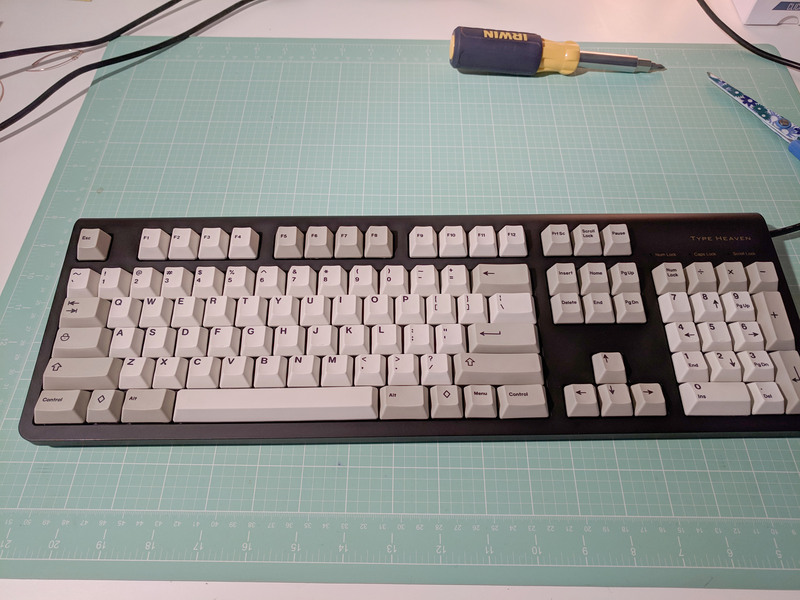 Again like I said it's not bad, if you've never used Topre PBT before then you'd probably think this is fine, but in comparison I'd say stock Topre keycaps is like 25% nicer (in terms of typing feel). This is tricky because it's like saying Lexus is not bad but Ferrari is better. So would I recommend this keycap set? Hmmmmm it's hard to say because there literally is no other choices at the moment. But I would say if you can just buy a Realforce then just go that route. 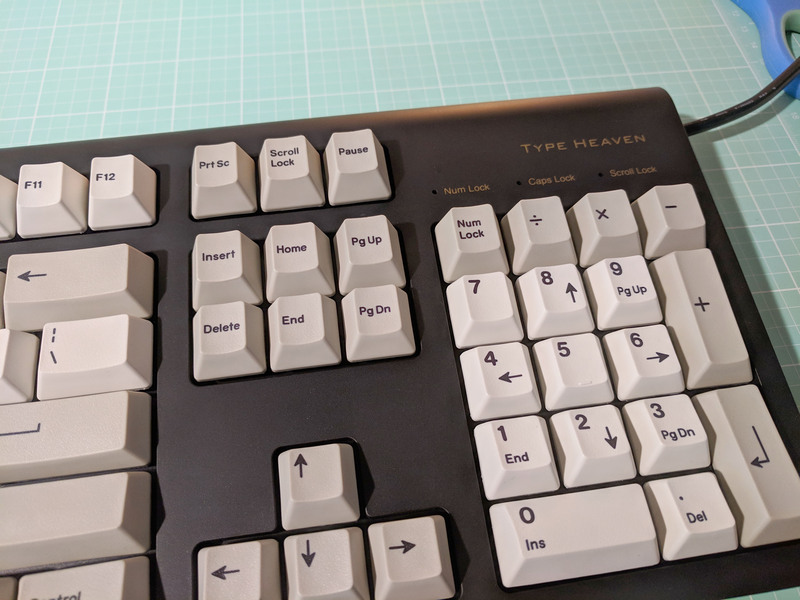 At the time when I bought Type Heaven it was because it was cheaper, but now looking back it's more worth it to buy a Realforce than Type Heaven + PBT keycaps. 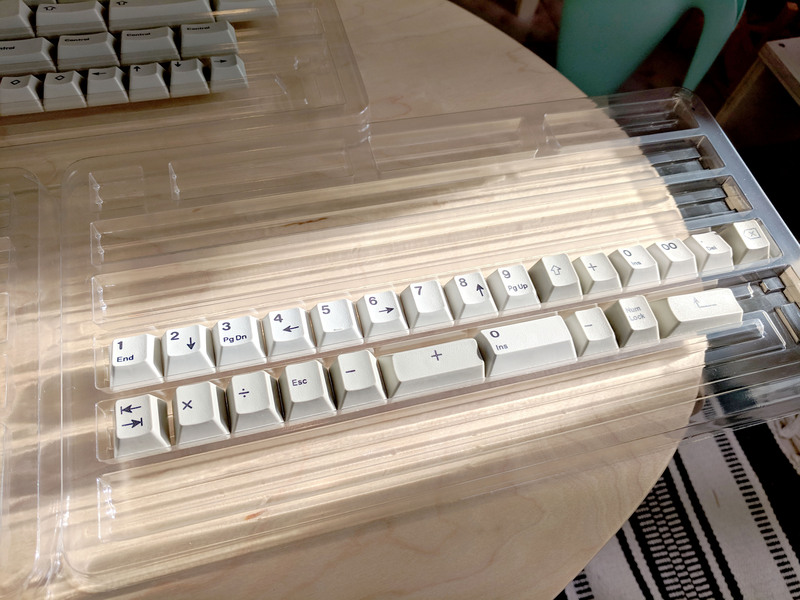 I might try to switch the Type Heaven back to stock keycaps to see if the wobble really is a fit issue. 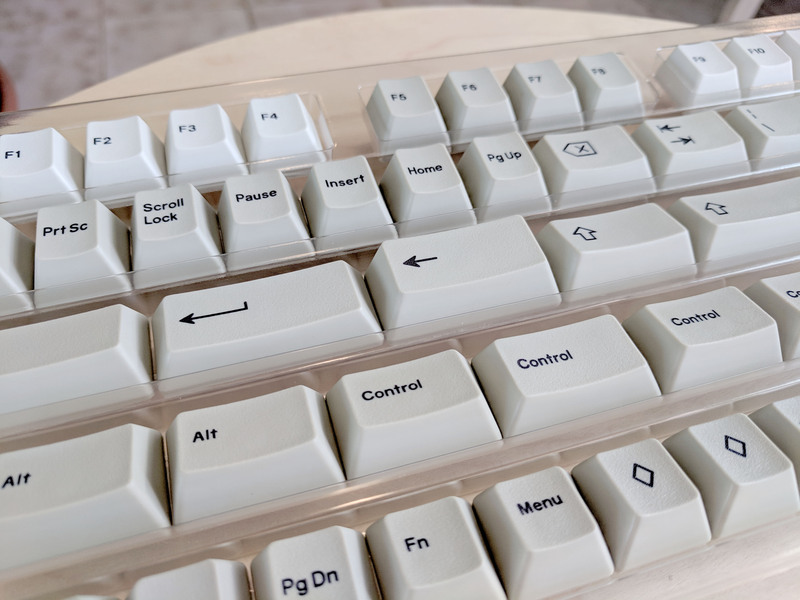 I can't imagine it being a build issue since I read it somewhere that aside from the keycaps the Realforce and Type Heaven should feel identical in terms of typing feel (like if you put Topre on PBT on Type Heaven then it's pretty much exactly the same). I think in the future if they can fix the wobble issue then this would be a great set. Again I must test this further later, will update you guys once I find out lol.